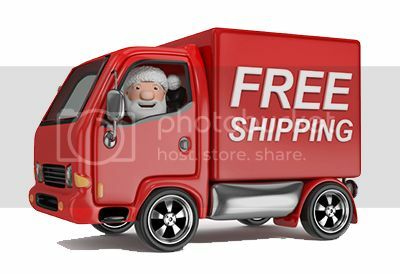 Thread: CHRISTMAS Offers - Free Shipping, Freebies + Bonuses & More! 2: The Italian, high quality fully brass Mint Snow Foam Lance will come with a FREE Mint Snow Foam 500ml (made in Germany) – the newest, most concentrated and now best cleaning snow foam. 3: For our massively popular Polisher Kits; DAS6, DAS6-Pro and Rotary we are going crazy with already incredibly low sale prices by adding some seasonal bonuses: order any of our kits and receive a FREE Mint Microfibre Wash Mitt 3 x FREE Mint Economy Cloth and a FREE 3M Auto Masking Tape 18mm, together these goodies are worth over $30 of extra value! Last edited by CarCareProducts; 16th December 2014 at 10:21 AM. 4: Purchase a Fine Grade Dodo Juice Clay or a Clay Magic 200g Bar, or a Clay Cloth or a and get a FREE 500ml bottle of Mint Lube – the perfect accessory to achieve pro results fast. 5. We have 20% Off the amazing the Tornado Cleaning Tool and the sensational [Tornado-PRO Cleaning Tool– these are the ultimate weapon to detail interiors, especially those dirty ones. And included in this crazy offer is a FREE trial size bottle of Einszett Blitz, the perfect cleaning solution to run through your Tornado to blast dirt out of the most awkward spots. All offers are valid until midnight AEDST Thursday 18th December 2014 or while stocks last, no further discounts or promotional codes apply. If you have any questions or need any advice on which products will suit you please give us a call or email at any time. Drive drive, eat plenty, and remember they're family for life! Merry Christmas from the Car Care Products team! Last edited by CarCareProducts; 18th December 2014 at 04:03 PM.